Some parts of NW India had above normal temperatures on Sunday...But no heat waves as such. "Heat wave is currently on across North, Central,Western India. The core low formation region(Thar desert/Sindh) has heated up early this summer . Barmer has approached 46 c and recorded min temp above 30 c. April heat records have tumbled at many locations in the subcontinent. On 19th April 2017, first ever 50 c temperature in April in Asia has been recorded at Larkana (Sindh). Temperatures of more than 45 c have already been recorded in many states of India . 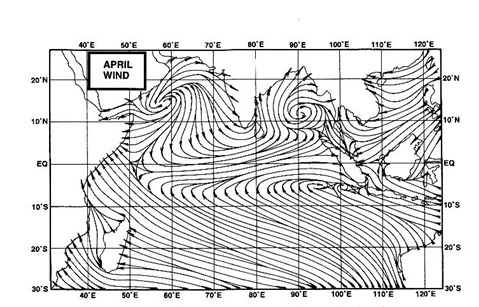 Even at Srinagar (Kashmir),Shimla (Himachal) temperatures have approached around 29 c in April . Delhi AP was 44.9 c on 20th April 2017. Earlier than normal,the night temperatures have also crossed the 30c mark ! 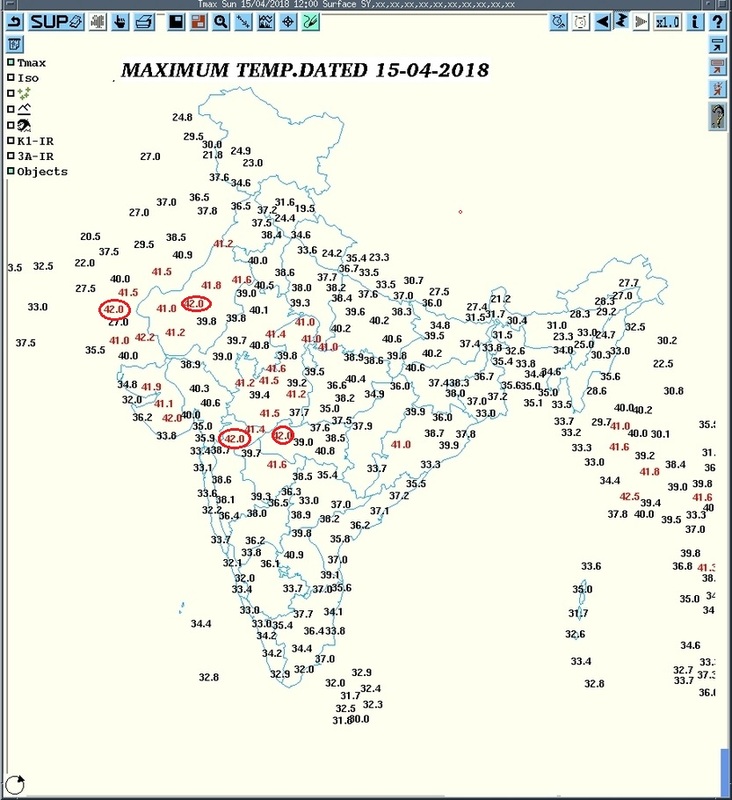 Barmer in Rajasthan recorded 30.4c as minimum on 15th April ,Kurnool (Andhra) saw a low of 31 c on 19th morning and Jhansi (UP) saw a low of 31.6 c on 21st morning." Minimums this year, 2018, (on the higher side) is around 26/27c. Maximum Have not crossed 43/44c as yet anyplace in the Sub continent. Some media channels showing IMD forecast onset of monsoon over KERALA around 15may. Is it possible as per situation today? What a action pack day it was today !! First started with humid torturing heat.. As Temp was high as 41c with 45% with real feel touching to 55c !! So with this Badlapur max temp was 41.7°C with 33% humidity today. And what a change over later in late afternoon !! As massive dust storm with gusty winds upto 50kmph struck for 3 times between 4.30pm to 5.30pm with visibility dropping to almost 0 !! And later Thunderstorm rain drops the temp to 21.7°C by 5.30pm with 17mm rainfall recorded till 6.30pm. Sir, Gfs forecast says 44c in khi on 27 and 28 April, most of sindh Rajhistan likely to see 45c+ during last days of apr, ur say sir?